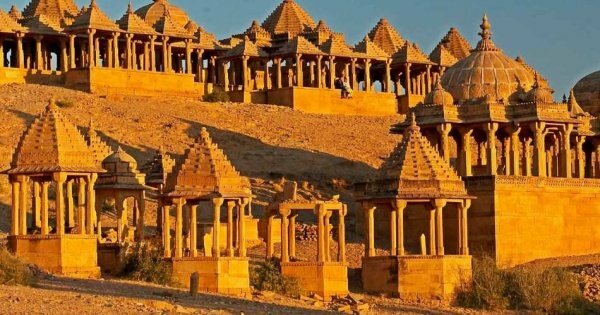 Sun City, Blue City are just two of the names for this magnificent city hugging the edge of the Thar Desert. 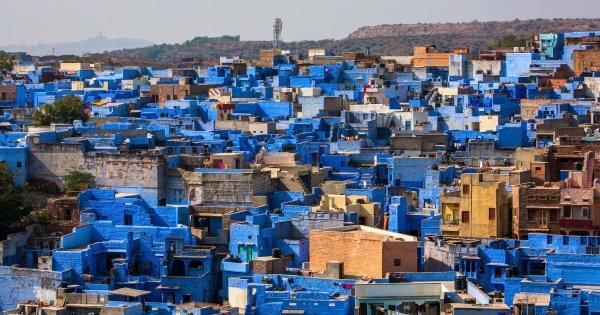 Visit fascinating Jodhpur, custom tours of the magnificent Blue City where its easy to see from the many blue cubed buildings in the old quarter that its where it gets its first name blue. It is also said that the sun shines here every day hence its second name. The old city is a maze of alleyways and winding streets, and there is something new to see around every corner. 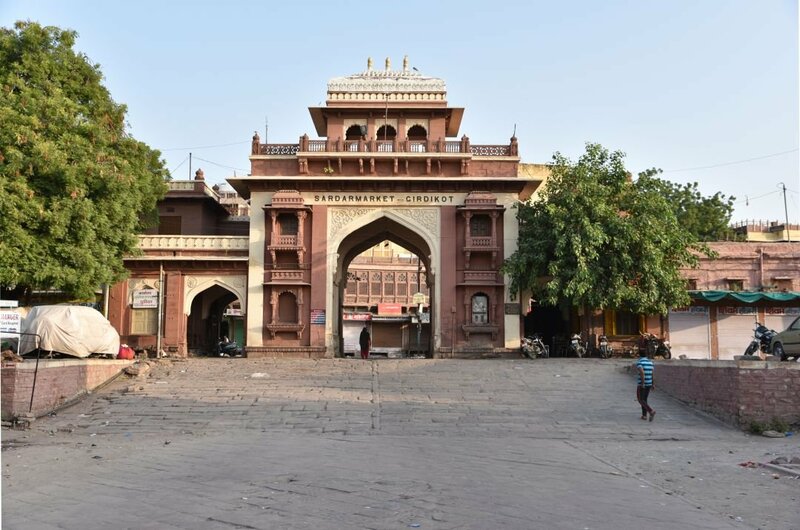 The Kingdom of Rathore is now a mix of ancient ruins from the original city to the modern Jodhpur. Many of the buildings are architectural masterpieces from the 16th-century side by side with newer, but not modern, buildings. Its Palaces and Forts are steeped in tradition, and an old world atmosphere surrounds the ancient city. 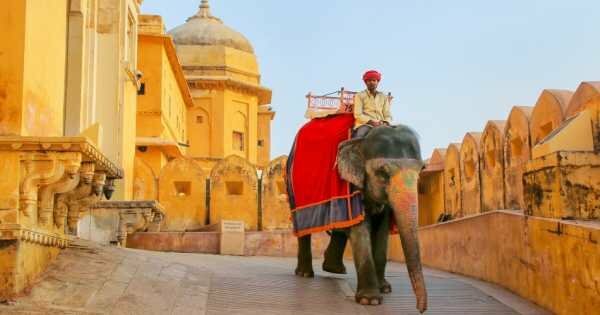 What could be better than fabulous sightseeing tours of the home of Maharajas? 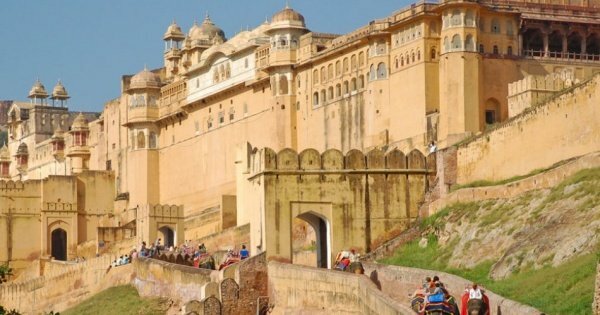 In the land of majestic Palace and Forts, you can lose yourself in the atmosphere of days gone by and imagine that you are that prince or princess. 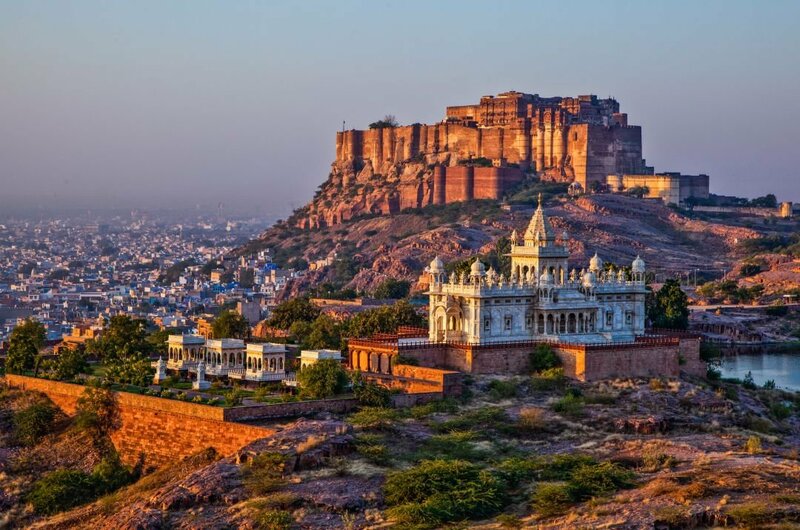 Mehrangarh Fort rising majestically up into the bright Indian sky, literally a rock fortress. A stunning memorial to his father the fantastic architecture of the Jaswant Thada Temple. 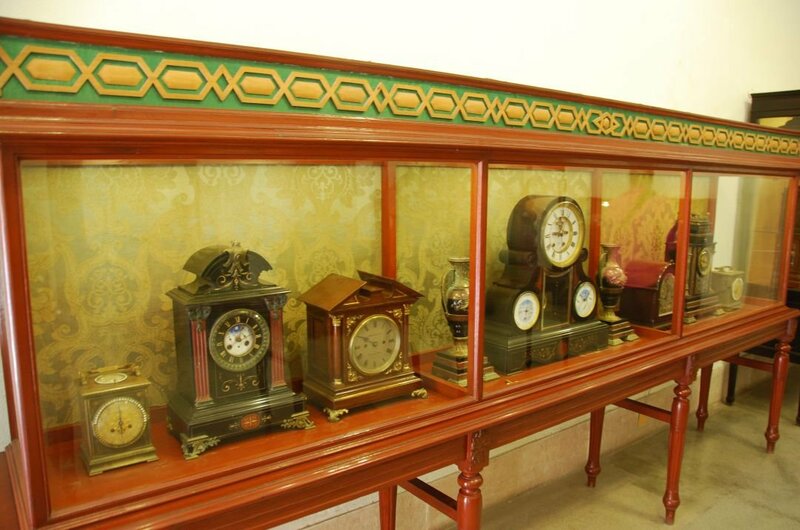 Marvel at the honey coloured, intricately carved clock tower then bags a bargain at the nearby market. 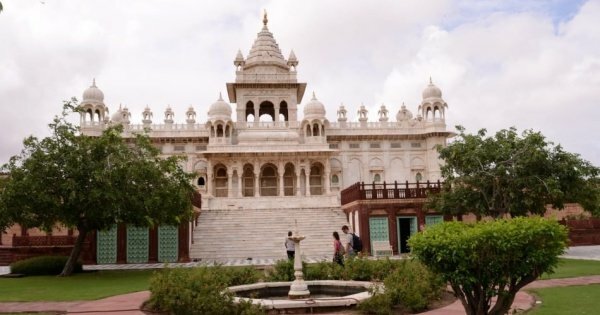 Be dazzled by the Edwardian glory that is Umaid Palace and learns its history at the museum. Relax at Ranier Lake and wander the gardens and ruins and seek out some of the wildlife. 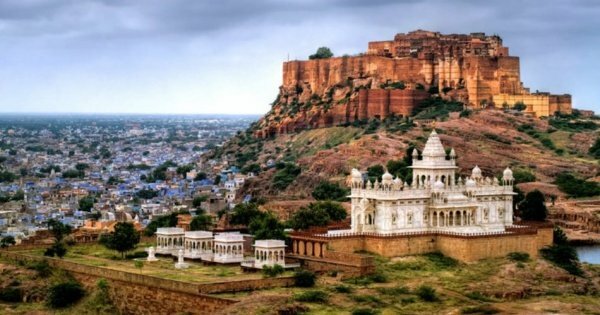 1 Visit the majestic Mehrangarh Fort rising up into the bright blue of the Indian sky. Literally, a fortress built out of and into the rock it stands on this is one of Indias most magnificent fort structures. 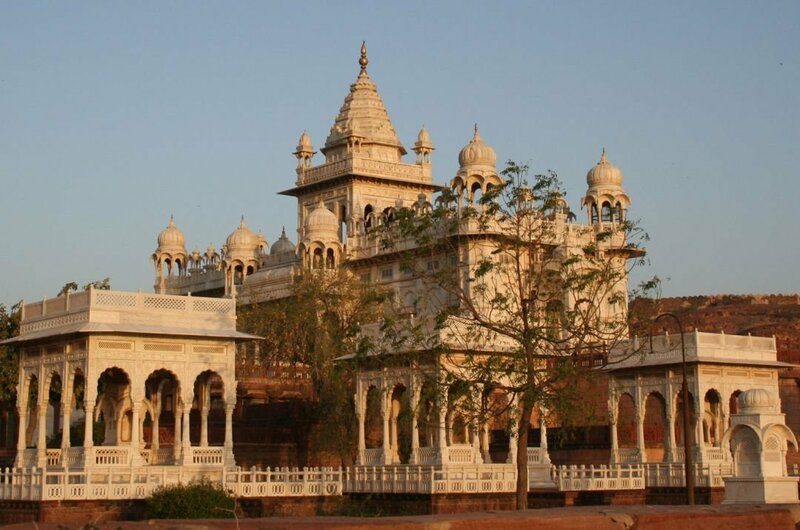 Still owned by the Jodhpur Royal Family, it is an excellent example of a Royal seat. Inside the Fort's substantial courtyard are the splendid Pearl Palace and several Temples and a gallery of exhibits. 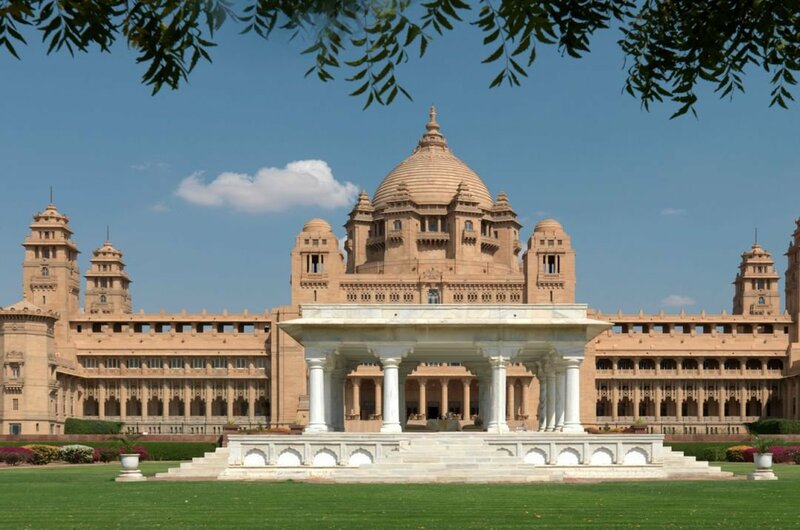 2 Umaid Bhawan Palace is a fabulous example of a blend of Indian architecture and western technology and is regarded as one of the biggest royal residences in the World. Built by the then King to give work to the farmers affected by a severe drought it took nearly twenty years to build. Decorated with Burmese teak and marble, it is a truly stunning sight. 3 Glowing in the brilliant sunlight is the memorial Temple of Jaswant Thada. Built entirely of white marble by Maharaja Sardar Singh as a touching memorial to his Father. Its stunning architecture and majestic domes are a fine example of the fantastic workmanship of the time. Views from the immaculate gardens are superb, and the tinkling fountains add to the peacefulness. 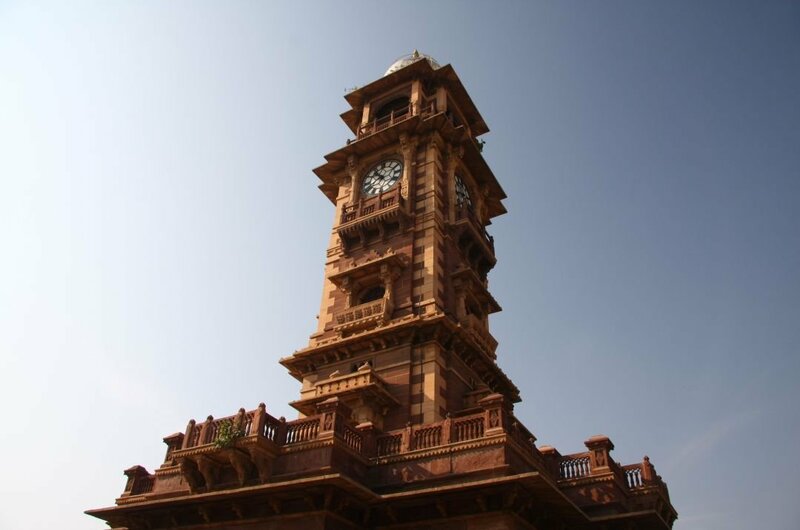 4 The main attraction of this downtown area is this most magnificent clock tower Ghanta Ghar which quite literally means hour house. Sculpted out of honey-coloured sandstone every surface seems to be intricately carved. Dominating the whole area with its grandeur it can be seen from all over the city. Beside this is Sadar Market a great place to pick up some classic silver jewellery. 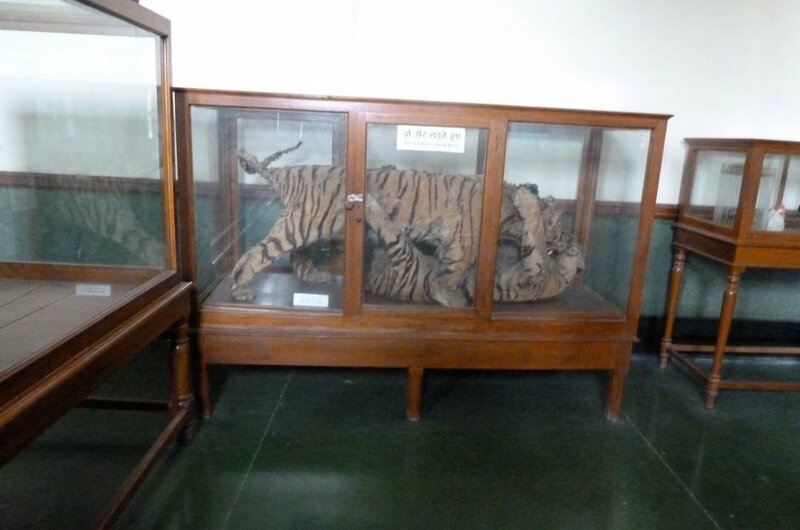 5 Stroll the many galleries of this fascinating museum and go back to the time of the grand Maharajas. Packed with artefacts its numerous halls you can see examples of local crafts, miniature paintings and stone and metal statues. Take a private tour and see the military section with its collection of weaponry and models of battleships and aircraft. There is also a somewhat macabre display of stuffed animals. 6 Your holiday would be incomplete without a bit of retail therapy, and the best market here is undoubtedly Sojati Gate in the old quarter. Its small winding streets are lined with shops and stalls offering many unusual things. Look out for handmade jewellery and souvenirs and the speciality here tie-dye fabrics and clothing. While here why not get a fabulous henna decoration on your hands. 7 According to local legend, a statue of the great Lord Ganesh suddenly rose up out of the ground at this very spot. 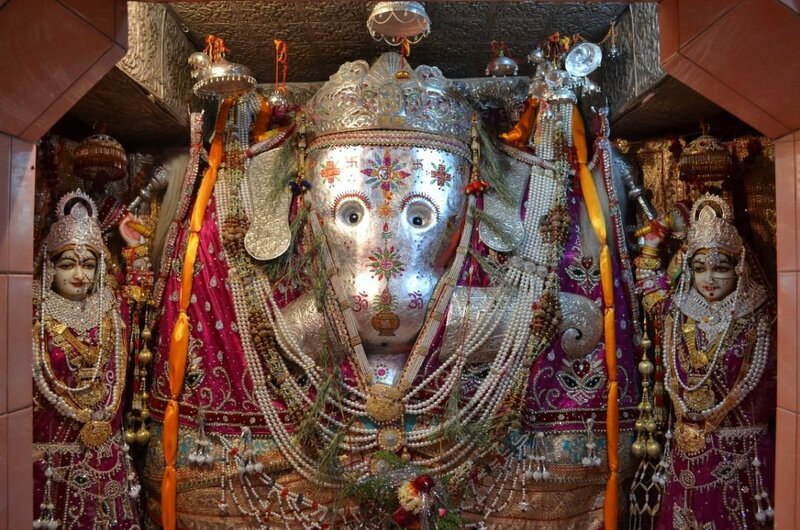 Due to this legend, the Temple is extremely popular, and people flock to the Temple and the huge 8-foot statue. On special festival days, the area is alive with parades and individuals offering thanks to the Great One. The whole area has a spiritual and peaceful atmosphere and panoramic views. 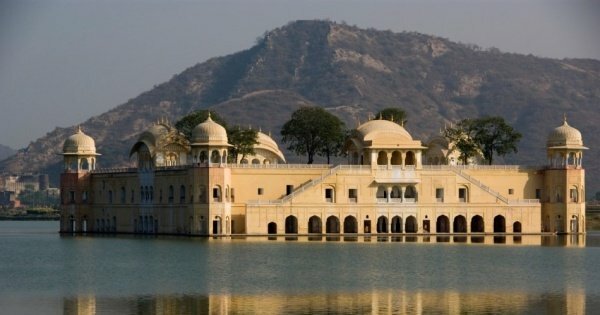 8 What a great way to unwind and relax by a culture tour to this picturesque lake and ruined palace. Amazing to think that this lake and others in the surrounding area were built over 500 years ago as a way of conserving water and this meant they never ran out of water. A perfect place to wander the ruins and imagine how it would have looked in its heydey. 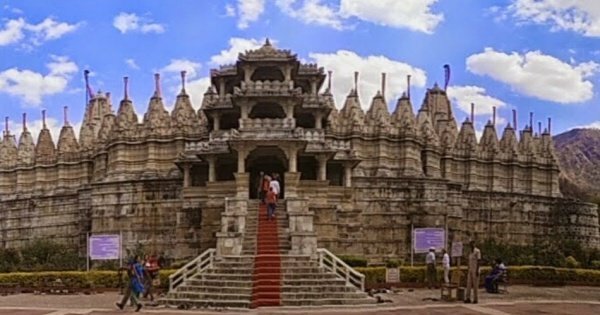 9 Famous for its ornately carved entrance gate and magnificent towering central shine the Kunj Bihari Temple earns a visit even though it is not one of the more famous Temples in the area. 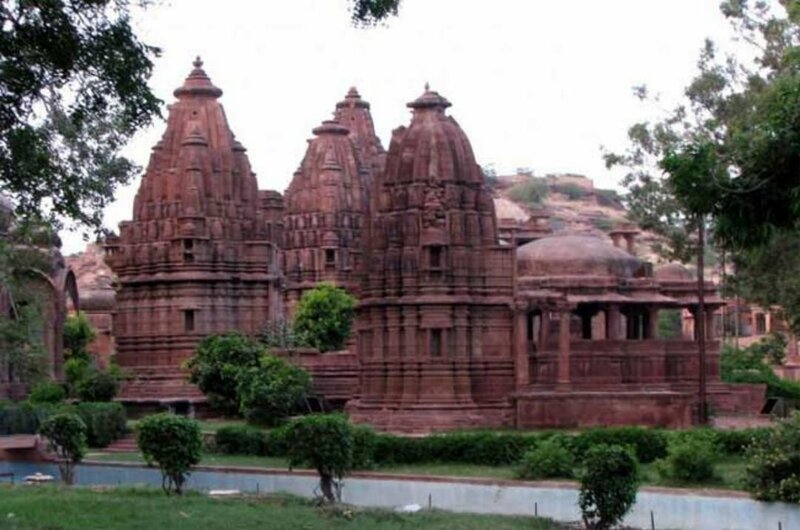 The grand facade of the Temple is a stunning work of red sandstone art, and everywhere it is adorned with intricate carvings of human figures. 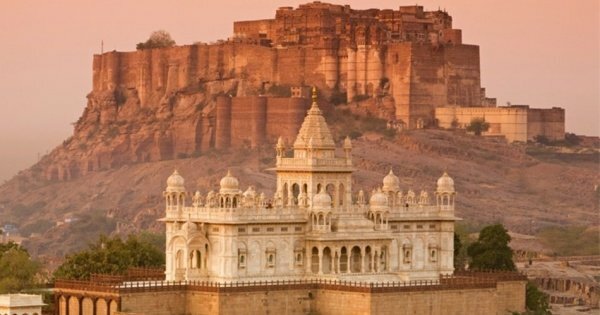 10 Fascinated by western life the Maharaja Umaid Singhji hired an Edwardian Architect to design and construct his Palace. He has made an impressive and truly breathtaking building stunning in its proportions and design. This is grandeur on an extravagant scale and must have been a fascinating place to live when it was built. Your holiday expenses here would firstly depend on when you travel. The late winter period and spring are classed as peak season, so this would be the most expensive time to holiday there. An average hotel room would cost around 1,600 IR, and this is a mid range hotel. Taxis are reasonable and cost on average 300 IR per journey, or you can hire a car at a maximum cost of 3,500 IR depending on the size of the car. private tours are reasonable priced. Remember to dress appropriately and respect the locals and their beliefs. Make sure you consult your Doctor to find out what vaccinations or boosters you may need before you go. 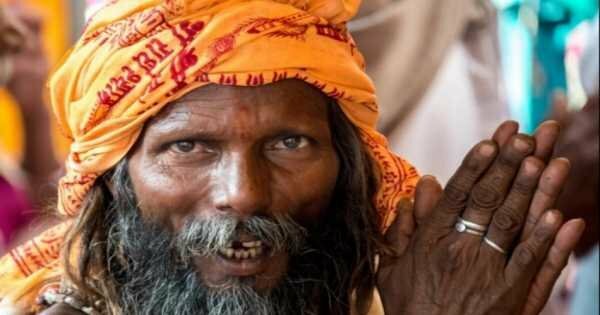 Take medicines with you for sickness and the dreaded Dehli Belly although rare it can be unpleasant and draining. Eat street food when prepared fresh in front of you, drink plenty of bottled water and apply sunscreen even on cloudy days. guided tours are best booked early. 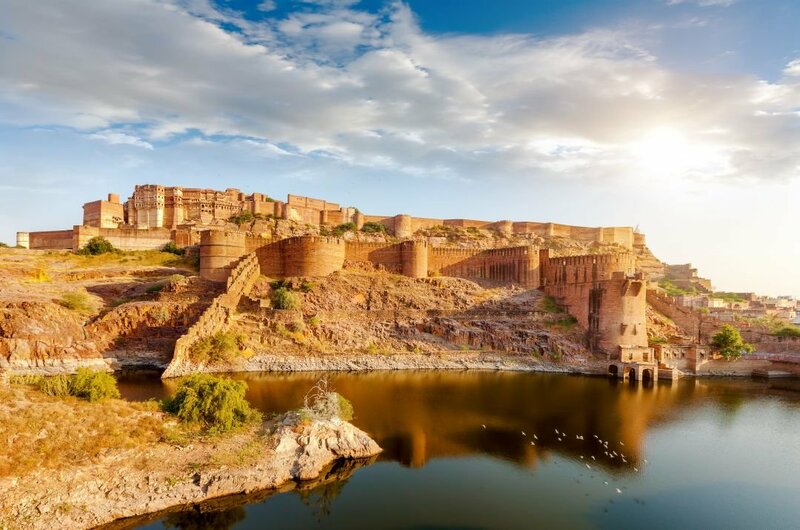 The general climate of Jodhpur is sunny, dry and hot with a minimum temperature of 22º in summer and 10º in winter. Maximum summer temperatures can reach a sizzling 41º and even 36º in winter. So you can see its never really cold there. From July to September is monsoon season when it could be a small shower to a drenching downpour so make sure you go out prepared even if it starts sunny. 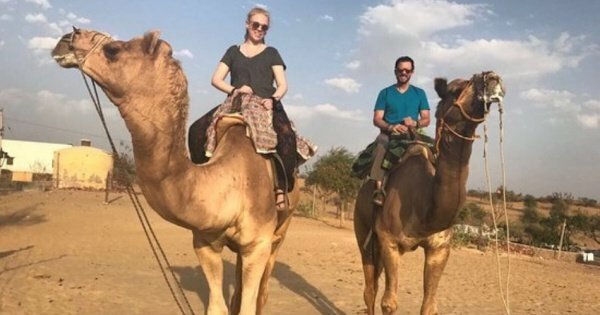 Private trip to Pushkar from Jodhpur by an air-conditioned car with an English-speaking driver. Pushkar is a beautiful town nestled in a valley. It was Nice to use it. It was Good transfer.